This week’s Beauty Hack is all about the reds. Red lipstick is a timeless beauty look thats been rocked by everyone from Marilyn Monroe to Rihanna. Over the years, however, red lipstick has evolved into more than just Monroe’s signature shade. Now, red lipstick comes in all shades, ranging from super bright to deep and dark. This year’s favorite shades of red include a vampy red, a fire engine red, and a red ombre that uses multiple shades of this hue for a fun and unexpected look. Read below for tips and tutorials on how to achieve the perfect red lips in any shade. This shade is one of my favorite ways to wear red, but also one of the most difficult shades to pull off. The trick to making this look work is to find the right shade of red for your skintone. As YouTube sensation and makeup artist Michelle Phan says in her video, you are one of three tones: warm, cool, or neutral. After you find the perfect shade for your complexion, make sure you moisturize your lips before you apply your lipstick. This will prevent your lips from drying out and keep your lipstick from looking peely or cracked (which is extremely noticeable with darker shades of lipstick). Next, outline your lips with a matching lip pencil to create definition. Finally, fill in your lips with your desired color to complete your vampy look. 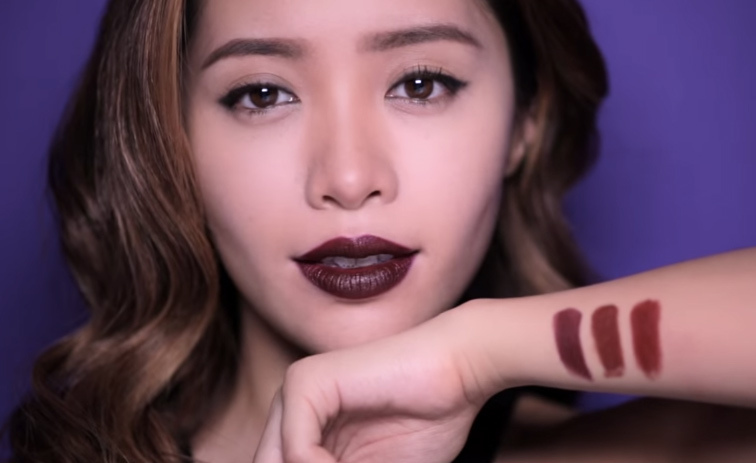 Watch this video by Michelle Phan for a how-to guide to getting flawless dark red lips. Fire engine red is one of Hollywood’s favorite shades of red lipstick. Again, finding the right shade of red is essential for this look. If you have fair skin, try a blue-based red while medium skinned people should try true reds. Olive-toned people should opt for orange or yellow-based reds and those with dark complexions should try more pink or orange-toned reds. Once you find the right red for your skin tone, be generous with the color for maximum pop. Watch this video by TheBeautyVaultxo for a classic makeup look featuring the perfect bright red lip. This fun and fearless look uses multiple shades of red to create an ombre effect. To start this look, I recommend using a concealer to outline the outside of your lips. This will prevent the lipstick from feathering out or bleeding, which can happen easily when using such bold colors. Line your lips with the darkest shade of red first, and start building the colors inwards. The lightest shade should be in the center of both lips. Watch this video by Thelipstickjungle for a quick and easy tutorial for building ombre lips.